We've all heard it before: "Don't you know what you want to do with your life?" 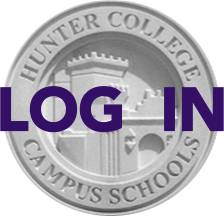 On Thursday, April 24, 4-6 pm on the 2nd floor, students in grades 10-12 may attend Hunter Career Day, where they will hear from alumni and parents on a variety of career paths including Finance, Broadway, TV/Film Production, Law, Science Research, Medicine, Publishing, Writing, Social Justice, Journalism, Fashion, Green/Environmental, Education, and Information Technology. Click here for the brochure with a complete list of speakers. Please encourage your child to sign up for their favorite panels (each an hour long) outside Ms. Siegmann's office, Room 210. A free snack will be provided.